Noel Sta. Ines has been around. A civil engineer by training, he has worked with government, specifically with the Ministry of Local Governments and Community Development, in the 1980's. He then moved over to the Department of Public Works and Highway. It was in 1997 when he transferred to the development sector, as a procurement specialist with the World Bank. His job at the WB is tough, but his advocacy is even bigger. At the capacity building session at the Puerto Princesa City Hall in Palawan, Sta. Ines shared his geotagging expertise to an audience of Region IV-B auditors and civil society representatives who would comprise the audit teams who would look into the farm-to-market roads for phase 2 of the Citizen Participatory Audit. Why geotaging? “It is an innovative tool to enhance transparency and supervision of development projects,” he said. Over the course of his career, Sta. Ines was able to observe how fraud and other irregularities in government could be committed just because a project is in a remote or dangerous location. Mindanao, for instance, carried with it high potential for growth being a predominantly agricultural land. It still does. It was the site of numerous promising development projects all supposedly for the improvement of the second-biggest island in the country. But implementation of these lofty projects in Mindanao proved difficult because of its vulnerability to fraud, limited supervision, security issues, conflict situations, and inordinate delays. An example would be the existence of complete documentation for projects with only one missing element -- the project itself. In some cases, contractors may dissuade auditors from checking on the project by showing them photos. There would then be no way to ascertain whether the photos are current, or if it is photo of the correct project. Sometimes, only the elites’ friends and contacts cornered the projects and obtained its benefits. There are instances, too, that the same project, going by different names, are funded. Other projects do begin in the places they are supposed to begin in, according to plan, but Sta. Ines’ cardinal rule when perusing project documents is to never trust anything that seems perfect. For example, fifth or sixth class municipalities hardly have basic computers and internet access, so project designs in CAD down to the last detail should be seen as a red flag. Likewise, document requests provided in record (i.e., unrealistic) time, and all reviews passed or deemed satisfactory should lead one to raise more questions than be satisfied by answers. Geo-tagging can help shed light on these and similar concerns through location and visualization. Geotagging begins from the acknowledgment that everything has a point coordinate. Based on that point, determined through the meeting of latitude and longitude, it would be easy to locate everything through satellite. There are also applications, most available for free, for the visualization of projects. Of course, everyone knows how to take pictures. Terms used are points, nodes, waypoints, tracks, lines, trails and polygons One must not get confused with these terms; it suffices that one knows what each term is referring to, One would find out that they all refer to basic things. Finally, in geotagging, a cell phone is not a cell phone but a data collector. In answering the question, “Is the right activity being conducted in the right place?” geotagging is an innovative too to enhance transparency and supervision. These are musts in social accountability and good governance. Geotagging cannot be too complicated, nor too expensive.It must be easily replicable for government institutions and civil society organizations, especially those based in rural areas and communities. That Republic Act 9184, or the Procurement Act,, was passed in 2002 indicated that the Philippine government had the intention to foster transparency in its transactions. Geotagging, despite its relative novelty -- only been used in the past three or four years -- has shown itself helpful not only in theory but in actual practice. It was pilot tested by the Department of Agriculture (DA) for the Mindanao Rural Development Project and expanded on a nationwide scale for the Philippine Development Project. It has also been used in performance audits conducted in Tacloban City for its bunkhouses after typhoon Yolanda, and in Tagbilaran City, Bohol, for reconstruction activities after the earthquake of October 2013. Specifically, geotagging allowed auditors to determine whether the work in these areas was implemented according to plan. Compliance to specification was especially crucial given that the beneficiaries of these projects were victims of disasters. In another geotagging mission, a DA team discovered cracks on a road project in Zamboanga Sibugay, and which subsequently led to a quality assurance review which that materials used were not according to plan and specifications. With its potential to determine, and swiftly, whether projects are implemented well, with no mark or fraud or irregularity, Geotagging will inevitably be used as a tool to pursue corruption cases against erring government and other officials. According to Sta. Ines, many legal luminaries have indicated that geotagged data can be use as evidence that will be admissible in a court case. There is no such case at present, but as the tool becomes more popular and more people see its value amid its simplicity, there might soon be. It might also serve as deterrent for future wrongdoing. 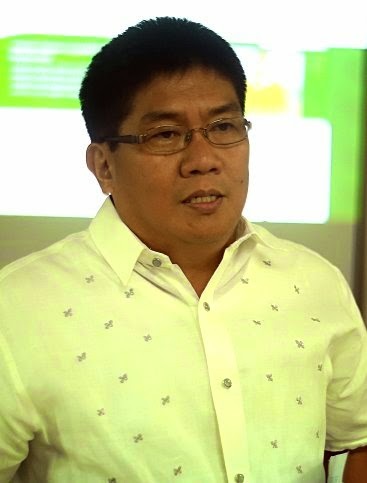 Now that he is a professional, with a job that takes him to different places and causes him to interact with people from all sectors, he has this to fight for: “Kapag magkatulong ang gobyerno at civil society, mahirap gawing tama ang mali (When government and citizens come together, it is difficult to make wrong look right).